Attention racers preparing for the Best Race In The U S of A That Is The Best And Not Anything That Is Not The Best, the Chili Bowl Nationals indoor midget race: right rear tire requirements are now open. 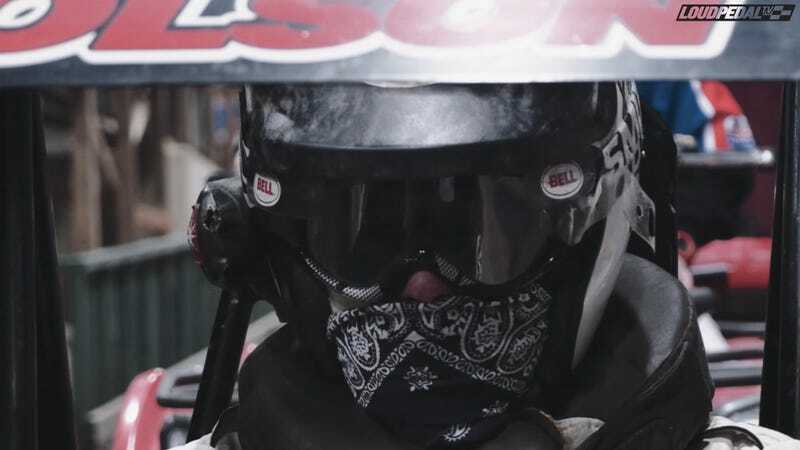 If you are not familiar with the Chili Bowl, possibly the most reliably exciting race of the year, watch the above video by the great Loudpedal Productions. In a recent press release talking about appearance rules for the Lucas Oil Chili Bowl Nationals presented by General Tire, there was mention of a required Hoosier Right Rear Tire. After conferring with series officials as well as several teams, the decision has been made to resend the required Hoosier Right Rear Tire and go back to an open right rear policy. We apologize for any confusion and again thank the teams and drivers who continue to support the Chili Bowl Nationals. If anyone has questions regarding rules and procedures at the Lucas Oil Chili Bowl Nationals, contact Matt Ward at 918-995-1650. Personally, I have absolutely no idea what this means for the race this year, but I’m excited for it, as I am excited for the Chili Bowl every year. The Chili Bowl is 25 days away.